Epiphany | Meanwhile! in Jenna's Books . . . Very pleased to have read this little series! 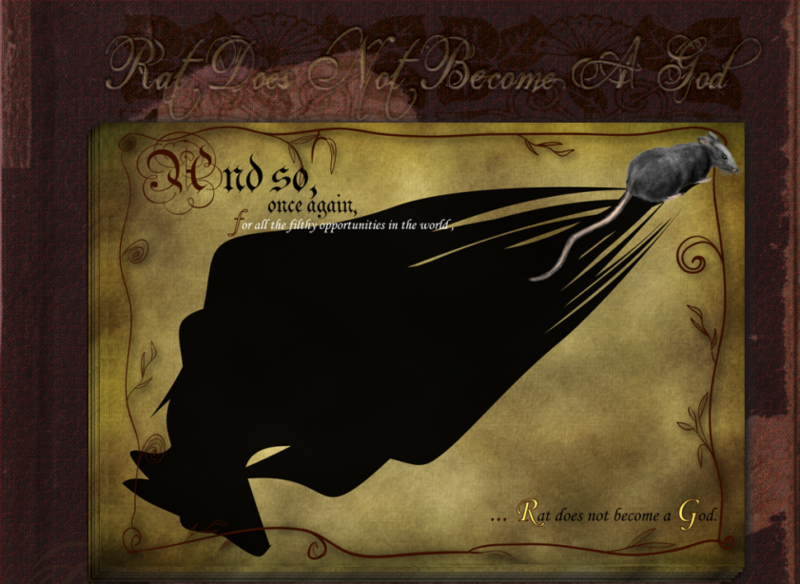 Rat definitely gives a strong showing of her character, and makes it abundantly clear why she does not become a God. She and the Nightmare’s Angel seem to have a bit in common. I hope that Mouse appreciates that cloth, and the advice! It would have been mortifying to be seen giving them.